I recently discovered a modern day Geppetto living down the road. Geppetto was the famous toymaker who brought Pinocchio to life. 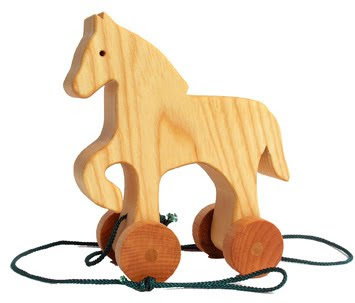 Gunther Keil, of Wild Apples, has been making beautiful crafted natural toys from wood for over thirty years. When I first visited his toyshop/studio, I felt like I was stepping into a page from a storybook. The walls were neatly lined with all his whimsical creations and there sat Gunther at his workbench, looking every bit the magical elf you'd expect to create such beautiful toys. 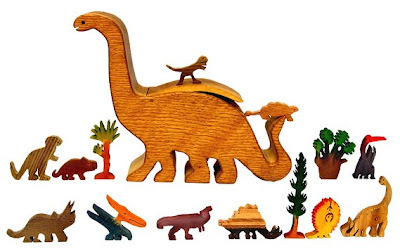 In this day and age of plastic and disposable, where most items available to our children are mass produced, how wonderful to find lovingly handcrafted toys using non-toxic finishes, local woods, and green energy. Back to the present. 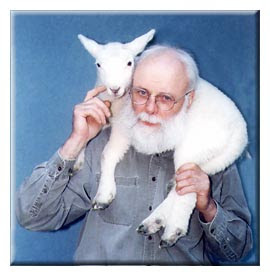 I now consider Gunther one of my friends, not just someone I admire and I can tell you this: he's the real thing. True to himself and heartfelt in all that he makes. Here's a little bit more of his story, I'm sure you'll see his spirit shining through! My long standing favorites are these gorgeous banks. I'm sure my daughter would go crazy over this Kitten Caboodle. those banks! and the kitten caboodle! my kids would love both. thanks for sharing this great find. I'm so glad you posted this! This is exactly what I have been searching around for, finally at reasonable prices! 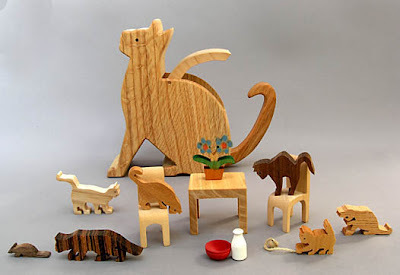 Those are fantastic, I love wooden toys. Thanks for sharing his work with us. thank you so much for posting this, i wrote about it on my blog and think i'll be purchasing a few of the toys for the little one's in my life this christmas. It is so great that you wrote this today. I was pondering on what to gift my kids for christmas. Goodmorning! I stop by often, without leaving a comment (am never really sure how to say what I'd like to ..), but I just wanted to let you know what an utter delight it is to visit your blog. It is so very inspiring - so thank you. Thank you very much, for sharing your ideas so generously, and for presenting them in such a beautiful manner. There. I left a comment! These are gorgeous- Love the toys inside idea. MY daughter would go nuts for the Kitten Caboodle (and we used to have a cat called Kitten Caboodle). Thanks for sharing. I have seen his work before and I think it's wonderful. If I had enough money, I would get his Trojan House full of little Greek soldiers, not for my son, but for my husband, because I think it would look cute in the office of an archeologist. Couldn't agree with you more, Maya. Gunther Keil is indeed a wonderful toymaker. I have visited his studio with my family and we always bring a little something home. 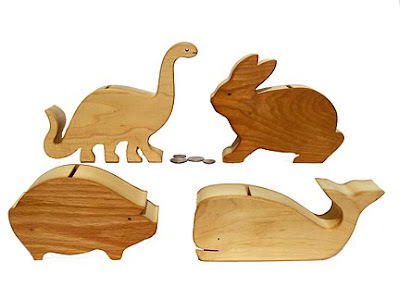 He also makes these beautiful sliding animal book racks. Thank you so much for bringing this wonderful crafter to my attention. I know I will be doing some Christmas shopping soon at Wild Apple. I really liked your blog! Please come visit my site Business Resources Comprehensive Listings when you got time. I really liked your blog! Please come visit my site Directory Milwaukee City when you got time. Thank you for the recommendations, love the kittens and am off to find them now.